“And the award goes to...!” It is December, the last month of the year, and the time for award ceremonies. The Sookmyung Times also decided to hold such a ceremony. Throughout the year, many great books and movies are published or released for everyone to enjoy. Among the great works, SMT reporters selected some that they enjoyed to share with you. Here are the most loved book and movie of 2018! 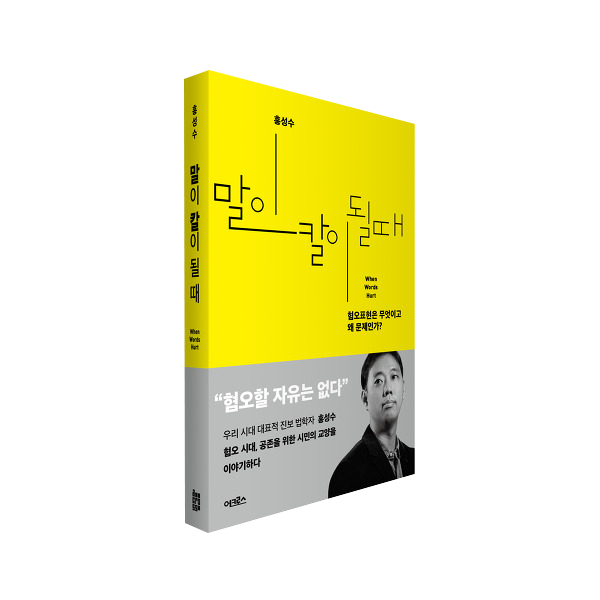 Well known to Sookmyungians is the book written by Professor Hong Sungsoo of the School of Law, <When Words Hurt (2018)> for its discussion of the problems of aversion and aversive expressions that are prevalent in society. The book begins by defining aversion and aversive expressions. Then, it presents more practical issues and questions that are often raised in public circles. Misogyny, racism, queer culture festivals, and no-kid zones are just some of the issues discussed in the book. Professor Hong also looks at other subjects that the public is interested in, such as concerns surrounding the movie <Midnight Runners (2017)>’s aggravate aversion and <The Outlaws (2017)>’s creation of negative stereotypes for Yanbian Koreans. Social media plays a big role in shaping peoples’ views towards a certain idea or concept, so it is important to discuss the effect it may have on aversion. Besides these two examples, Professor Hong goes deeper into the main theme of aversion, and in terms of law, his expertise, expressing his own personal thoughts and experiences. Aversion is an important issue to address, especially as Korea tries to achieve equality in its society. It is crucial that everyone know and understand differences and accept others for who they are. <When Words Hurt> does a great job of teaching its readers these things. It explains the reasons why people have assimilated aversive feelings towards others and claims these feelings have caused certain behavioral tendencies such as creating online communities like “Ilbe” or committing senseless murders, even if these should not be justified in any condition. After reading the book, readers will better understand the main cause and background of aversion and be better prepared to handle such issues. The best part about the book is that it makes readers reflect on themselves. It gives one a chance to ponder their personal actions, and whether it had hurt others’ feelings or not. Aversion is not something small and tedious, but rather huge and all around us. Moreover, the book teaches readers that aversion is not something that can be resolved with individual change but requires social and structural change. 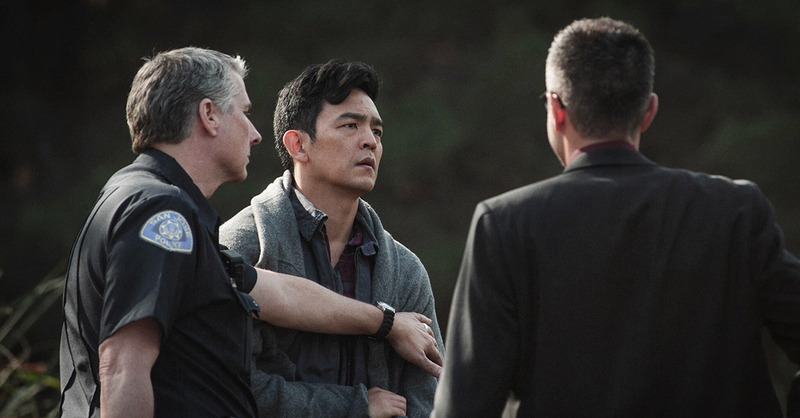 One Thursday evening, at 11:30 p.m, David Kim’s phone rings three times, but David doesn’t hear it because he is sleeping. The phone call is from daughter Margot. The next morning, David sends several messages to her. However, his messages go unanswered, so he suspects she had disappeared and files a missing person report. The police investigation does not result in any decisive clues as to her whereabouts. David is so fully worried that he looks carefully at Margot’s personal life as well as her last known place at night of her disappearance, which he learns about through Margot’s SNS. The more he discovers, the more he questions the investigation. Nevertheless, David and the police are unable to locate Margot, so they publically announce her disappearance in the hopes that someone will know something. One man comes forward and claims to have killed Margot. Did he really kill Margot? Or is it one of these people: a friend pretending to have close relations with Margot, David’s brother who keeps asking Margot “Tonight?”, or the detective failing to perform a full investigation? Who is the real criminal? What does David learn about his daughter that he didn’t know before while looking for clues to find her? 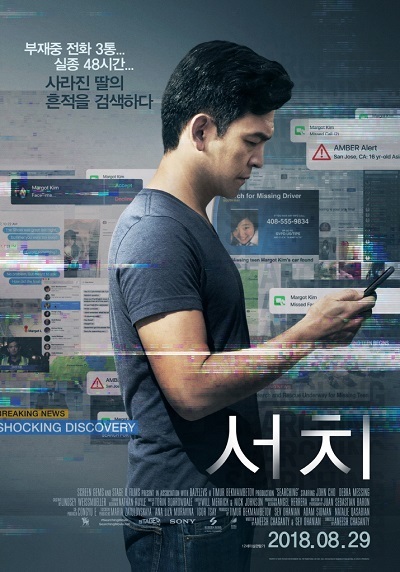 This movie was first released in 2017 in the U.S., but in 2018 in Korea. It has three big characteristics. The leading actors are Korean-Americans, and their performance is so natural in the film that it captivates the hearts of Koreans. Second, it is the curser. The movie captures audience’s attention with just a curser. The atmosphere is quiet, and conversations take place on computer screens. The silence overwhelms audiences throughout the film, making them eat their popcorns silently. The third factor is the twist. The film is captivating right up to its end. It is full of suspense with each suspect that is investigated. By knowing these three details, the film will be even more enjoyable for audiences. In 2018, many films were released. However, this is the best movie of 2018 because audiences will ponder the thought of losing one’s child, relationships with family and friends, the advantages and disadvantages of SNS, and so on. Take time to watch the movie.